Discover the unique ski and holiday resort of Val Thorens, located in the heart of the Trois Vallees region. The resort is located at the highest altitude in Europe, at 2300 meters, where the sights are all breathtaking. 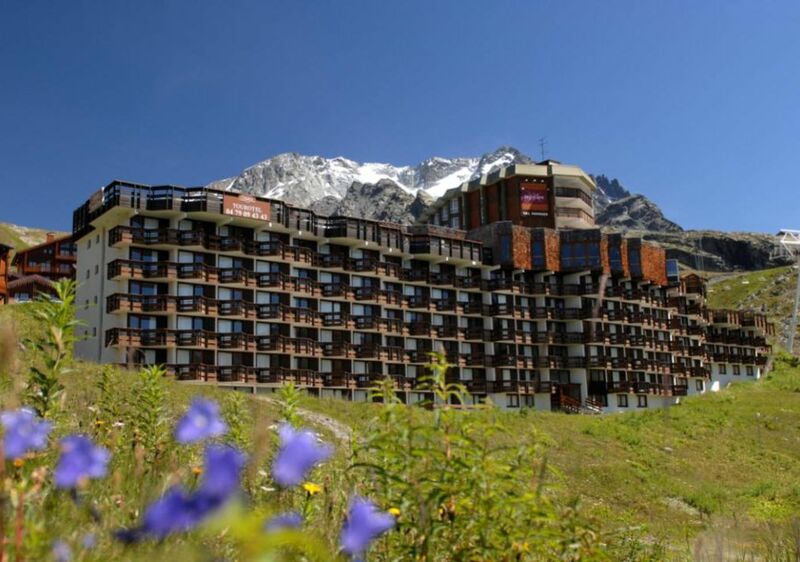 The height of the resort offers you a beautiful view of the French, Swiss and Italian Alps. The resort also offers you an unforgettable, active holiday, with unlimited possibilities for relaxation and entertainment. We recommend hikes and hikes along the mountainous terrain, mountain biking, tennis courses, fishing, horseback riding, paragliding, adventure trails, motorbike trails, canyoning and via ferratta. A dreamy experience that you should not miss! The residence consists of 6 floors and has 3 elevators. It is just 300 meters from the center of the resort. This studio has an area of ​​approximately 16 m2 and is suitable for 2 persons. It features a living room with two sofa beds and a kitchenette equipped with a fridge, microwave and oven. It also has a bathroom with toilet. Some studios have a balcony. The arrival on Saturday is from 5 pm to 8 pm and departure is before 10 am on Saturday. If you will arrive outside the scheduled times, please inform the reception. Pets are allowed for a fee (€ 50.00 / pet / stay). Dogs must be kept on a leash within the accommodation. Services available for an additional charge: Baby package, final cleaning. The residence also offers you a leisure card (a card per person staying in the residence), included in the price, which provides access to two sports centers that offer more than 20 sports and leisure activities: sauna, hammam, jacuzzi, solarium, tennis, basketball , volleyball, football, petanque and minigolf courses, table tennis, archery, ice skating, rodeo, sports tournaments, jogging, fitness, aquagym, activities and programs for the little ones, fun water park for children, shows and concerts, and hiking in the mountains with Guides. We offer special rates for wellness services, adventure courses, tennis lessons, rental of ATV, mountain biking and motorcycles and childcare for the children. To pay on the spot: the tourist tax and a deposit of 300 € (consisting of two payments: one for the apartment and one for cleaning). Dominated by six glaciers and surrounded by mountains, the Val Thorens resort offers you numerous opportunities like: sporting hikes or walks via 43 routes of over 300 km in the Vall?e des Belleville (Belleville Valley); motorbikes trials (with initiation course for beginners); 21 mountain biking circuits for all levels in Menuires and Val Thorens; tennis and tennis lessons; adventure trails, in the highest park in Europe, canyoning, climbing, and via ferrata, paragliding, riding courses for beginners and fishing. You can also reach the peaks of Val Thorens, Menuires and Saint Martin de Belleville, plus the crests of Caron and Chambre mountains by ski lift. You?also?have access to two sports centers that offer more than 20 sports and leisure activities: sauna, hammam, Jacuzzi, solarium, tennis, basketball, volleyball, football, petanque and mini-golf course, table tennis table, archery, skating, rodeo, sports tournaments, jogging, fitness, aquagym, activities and programs for the little ones, fun water park for children, shows and concerts, and hiking in the mountain with guides.? After you have tried all of these activities, if time allows, you can also visit nearby places (or some a little further away) like Albertville and Conflans, Annecy, Chamonix Mont Blanc, Valley d'Aosta (Italy) and Geneva (Switzerland). Do not miss: Le Festival des Sosies (the Festival of Lookalikes) and Val Tho Trophy which take place in the month of August, and the Coupe de France VTT (Mountain biking French Cup), which takes place on August 09th in Menuires.